The collection and distribution of funds for this project has been fully vetted and endorsed by the United Corpus Christi Chamber of Commerce, Corpus Christi Black Chamber of Commerce, Port Aransas Chamber of Commerce, Portland Chamber of Commerce, Taft Chamber of Commerce, Aransas Pass Chamber of Commerce, Ingleside Chamber of Commerce, and the Rockport - Fulton Chamber of Commerce. Funds are for small businesses (1-50 employees) damaged by Hurricane Harvey in federally declared disaster counties of the Coastal Bend (Nueces, San Patricio, Aransas). United Corpus Christi Chamber of Commerce Foundation will invest in small businesses damaged and/or closed by Hurricane Harvey effects who are currently open for business or are attempting to re-open. Funds are to be used only for the purposes stated in the request. Applicants must demonstrate intention to use funds for one or more of the following purposes: mitigation measures, demolition, code compliance, façade repair/ restoration/improvement, signage replacement/repair, landscaping, fence and wall replacement/repair. Funds may not be used for lost revenue. Applicants must complete a LiftFund or PeopleFund Loan Application. The applicant is not required to accept loan funds if approved. 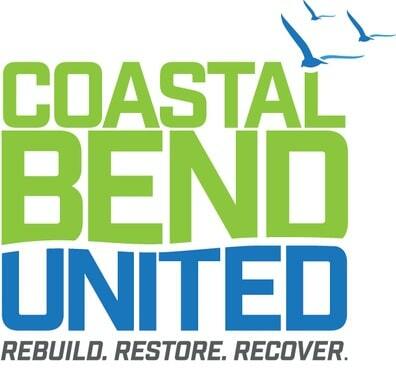 Coastal Bend United grants will be considered without regard to the approval status of your LiftFund or PeopleFund application. The LiftFund loan application can be found here: https://www.liftfund.com/loans/. The PeopleFund Application can be found here: https://peoplefund.org/. Applicants are not required to be a member of any of the participating chambers of commerce to be considered for this grant. The total maximum grant (the sum of all individual grants the project is eligible for) is $5000. The average grant size is expected to be between $2500 - $5000. You must certify that the information contained in this application is factual and a true representation of the funded project, and agree to meet eligibility standards and reporting requirements upon accepting a Texas Small Business Rebuild Initiative grant. Agree to submit all records and documentation for auditing purposes. Utilize 100 percent of funds for direct recovery efforts. The opening date of the grant series is Friday, June 1. The deadline to receive applications is Saturday, June 30. Recipients will be notified on or near July 18. Check distribution will take place at your local Chamber of Commerce Tuesday, July 31. The times have been set for the following Chambers: 11 a.m. Rockport-Fulton, 12:15 p.m. Ingleside/Aransas Pass/Portland/Taft and 2 p.m. Port Aransas.